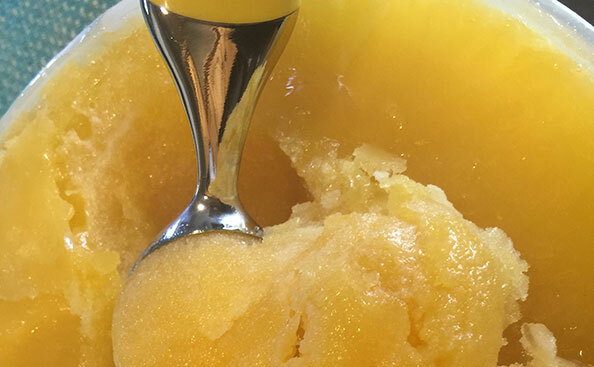 This sunrise slush recipe is perfect for summertime. Citrus & sweet. Made with a frozen orange juice, lemonade, pineapple juice slush topped with lemon-lime soda. Hey all! Summertime is right around the corner. However, as I am writing this, it is a cold and windy Montana day in April. Summer feels so far away, but it will be here before we know it! This recipe is perfect for summer BBQs, get-togethers and celebrations. My family even makes this slush for Christmas. In fact, it became a Christmas tradition – which I find humorous considering how cold it gets in here in Montana. It’s delicious without alcohol, but it’s also fun to make into a cocktail on special occasions. Tip: leave the alcohol out of the frozen mix and add right before serving. That way you don’t leave out the kids or people who don’t care for alcohol. This recipe takes about 20-25 minutes to prep + freezing overnight. Yields approximately 20-24 servings. In a large pot, bring 6 cups of water and 4 cups of sugar to a boil. Again, you can reduce the amount of sugar if you’d like. Remove from heat. 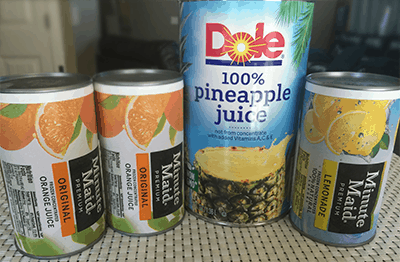 Add the frozen orange juice concentrate, frozen lemonade and can of pineapple juice to the water/sugar mixture. Mix well. 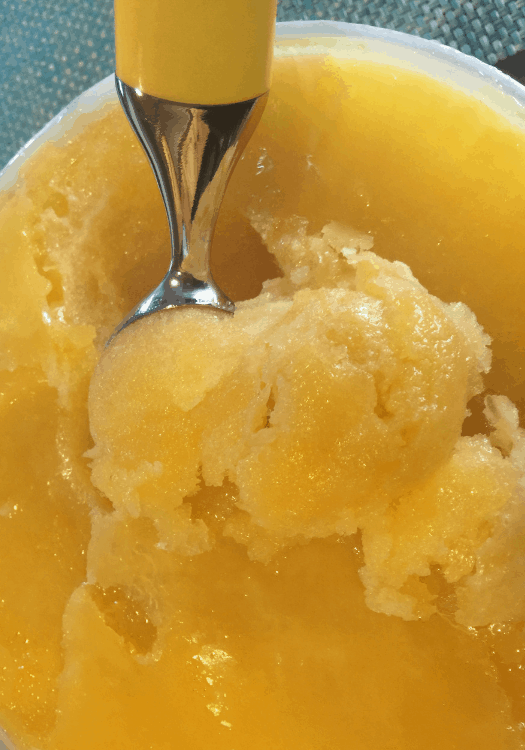 In a large container (I use an ice cream bucket), pour in the slush mixture. Freeze overnight, stirring a few times if you can. Now for the fun part. Put one or two scoops into a glass. Pour lemon-lime soda to the top of the glass (or leave some room to add your favorite liquor – keeping reading!). Optional (but so good) – add grenadine, alcohol of choice (whipped vodka is our favorite) and garnishes (oranges, pineapples or cherries). Enjoy! We usually scoop individual servings, but you could use it in a punch bowl for birthdays, bridal showers, baby showers and more. Another great option is to serve in a fun pitcher. Stop by and say hi in the comments. Let me know what you think. 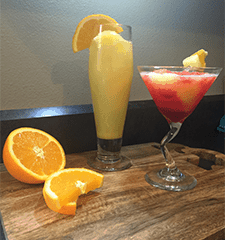 Citrus slush perfect for summer events. Pineapple, orange and lemon slush topped with lemon lime sode with the option to add garnish and your alcohol of choice. In a large pot, bring 6 cups of water and sugar to a boil. Remove from heat. 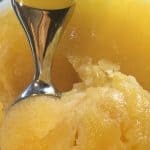 Add the frozen orange juice concentrate, frozen lemonade and can of pineapple juice. Mix well. In a large container (e.g. ice cream bucket), pour in the slush mixture. Freeze overnight, stirring occasionally. Put one or two scoops into a glass. Pour 7UP to the top of the glass. Optional (but so good!) – add grenadine, whipped vodka and garnishes (oranges, pineapples or cherries). 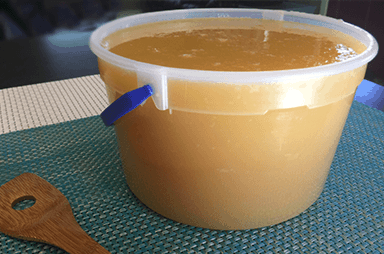 If you plan to add alcohol, freeze the mixture without and add right before serving. That will allow your guests to choose alchololic vs. non-alcoholic.